I’ve carried American Express credit cards for years. It started with the iconic Green American Express many years ago. Since then I’ve carried the Gold card, Platinum Card, TrueEarnings CostCo card (no longer available), and the Blue Cash Preferred card. Yes, I’m an Amex fan. Today Amex offers a wide variety of cards with excellent rewards. It offers top notch travel rewards, cash back, and even 0% introductory rate offers on balance transfers and purchases. The list below starts with consumer cards, followed by Amex business credit cards. Editor’s Pick: My favorite consumer Amex card is the Blue Cash Preferred® Card from American Express. With cash back of up to 6%, the $95 annual fee is well worth the cost. The $200 statement credit after you spend $1,000 in purchases on your new card in your first 3 months helps, too. Welcome Offer: Earn 35,000 Membership Rewards Points after you use your new Card to make $2,000 in purchases within the first 3 months. Earn 4X Membership Rewards points at U.S. restaurants and U.S. supermarkets (on up to $25,000 per year in purchases, then 1X). Earn 3X Membership Rewards points on flights booked directly with airlines or on amextravel.com. 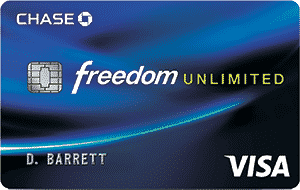 No Foreign Transaction Fees, making this an excellent card for international travel. $100 airline fee credit and up to $100 per calendar year for baggage fees and more at one qualifying airline. Welcome Offer: Earn 125,000 Hilton Honors Bonus Points after you use your new card to make $2,000 in eligible purchases within the first 3 months of Card Membership. 12X Bonus: Earn 12X Hilton Honors Bonus Points for each dollar of eligible purchases charged on your card directly with a participating hotel or resort within the Hilton Portfolio. 6X Bonus: Earn 6X Hilton Honors Bonus Points for each dollar of eligible purchases on your card at U.S. restaurants, U.S. supermarkets, and U.S. gas stations. 3X Bonus: Earn 3X Hilton Honors Bonus Points for all other eligible purchases on your card. Welcome Offer: Earn 60,000 Membership Rewards points after you use your new card to make $5,000 in purchases in your first 3 months. Uber Bonus: Up to $200 for Uber rides annually. Editor’s Pick:For Amex business cards, I give the top pick to the SimplyCash® Business Card from American Express. As a small business owner, I know the value of 5% cash back on office supplies and wireless. 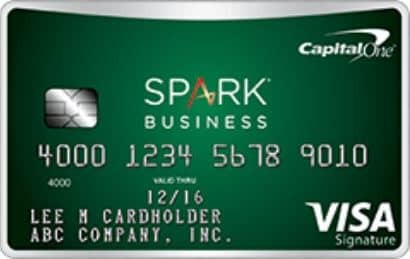 Add to that 3% cash back on a category of your choice and no annual fee, and this card is a clear winner. Early Payoff Discount: Get a 1.5% discount when you pay early, with no cap on what you can earn back.